If I were Nikki, I'd call this design Cheeky Monkey Goes to the Beach! 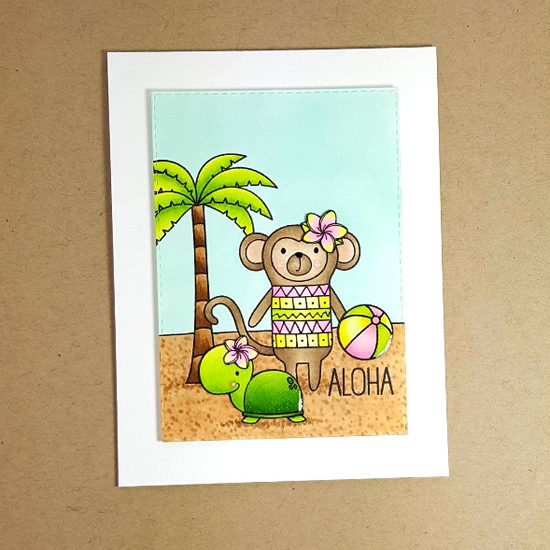 Looks like this sweet monkey is having a blast in a colorful bathing suit hanging out with the turtle from the Polynesian Paradise stamp set. Karren's vibrant design caught my eye immediately! I'm a sucker for bright colors paired with black. I love how she used the Modern Mosaic Background stamp for this hip design. And the ombre effect on the word color is pretty stinking cool. Amy created this adorable design in answer to Sketch 283. 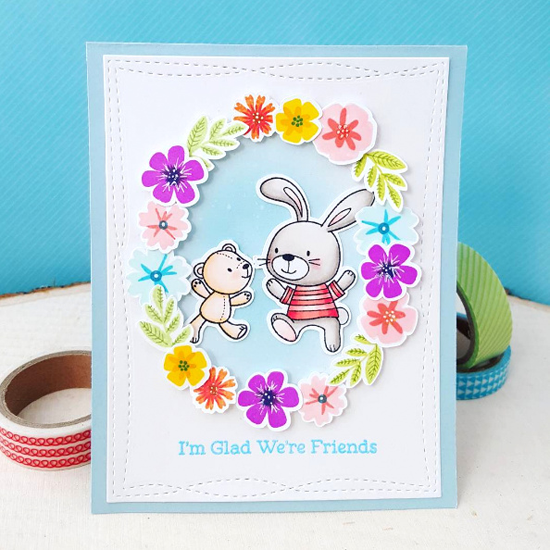 Because Snuggle Bunnies pair well with a ring of pretty flowers (from the Mini Modern Blooms stamp set). Amy explains that this was her first time using a layering stamp set. I say it's a job well done! Angela combined MFT Color Challenge 44 and Sketch Challenge 279 for her modern design. 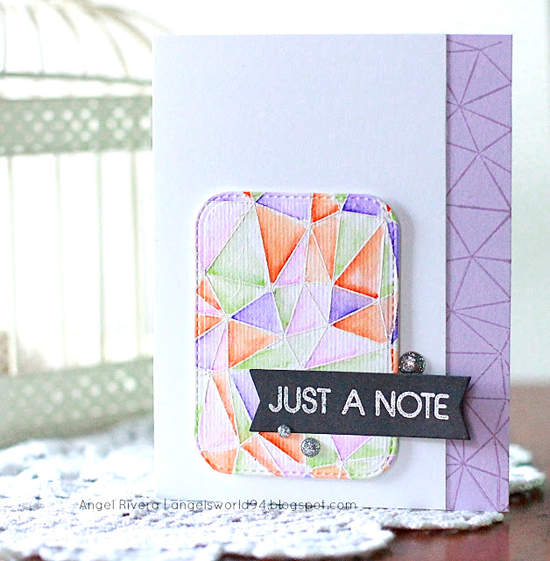 I just love how she used the Abstract Background stamp in two ways for this card. Just lovely! 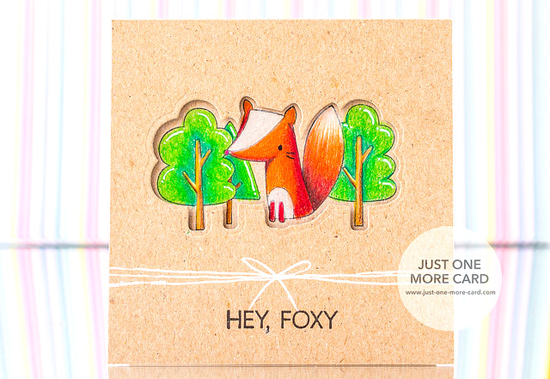 I super duper LOVE what Julia did with the Forest Friends stamp set and Die-namics in her inventive design! To begin with, the kraft background is perfect for this earthy design, but look what she did with the Die-namics! They are cut in the card front so that her lovely images colored with colored pencils on the inside of the card show through. Totally cool. Thanks for using MFT, ladies! You've left us inspired, and that's what it's all about! 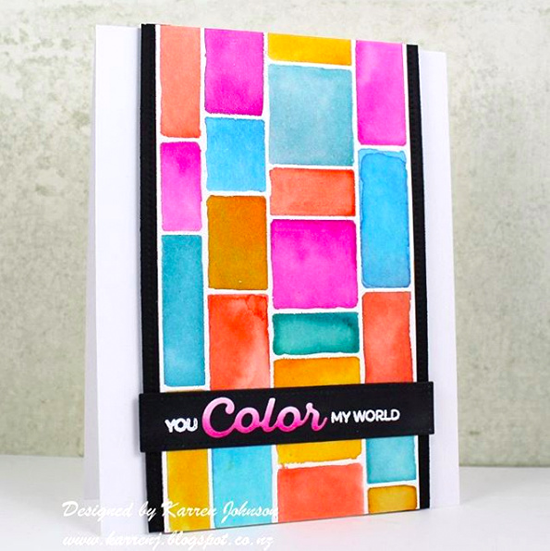 See you tomorrow for another great Sketch Challenge, and look for the next MFT Color Challenge this Thursday, June 9th! Congratulations everyone! Saw Julia's gorgeous several days ago and have been furiously at work in the craft room ever since! She's so creative!! !